Today I did some investigating on which particular iPad apps were capable of importing directly SoundFont SF2 Sample files. It took a bit of time to search through all the music apps and no doubt I’m likely I missed one or two, but so far I’ve found three excellent apps. First, why my interest in Soundfonts? The main reason is that I have built up a pretty decent library of old Ensoniq, E-MU, Roland S-Series, Akai, and other sample formats that are mostly 1 layer spread across the keyboard. With programs such as Awave Studio, Chicken Systems Translator, or Extreme Sample Converter it is quite easy to convert old sample formats into a more “universal” Soundfont SF2 format. With the Soundfont, it is then my desire to easily be able to import them into a sample player that can play the Soundfonts on the iPad. 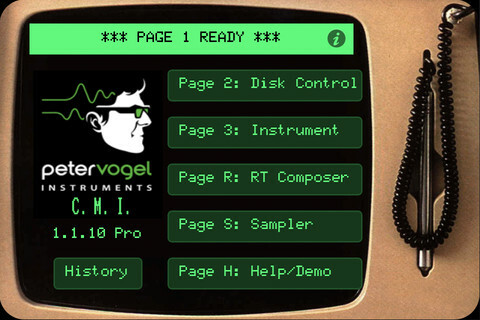 You can also of course simply extract the raw WAV files and build your own instruments as I previously discussed in my earlier article. However, I thought it might save some time and help to better catalog the samples if they were in SoundFont format. Ultimately I’m just experimenting here and through this process I found three excellent iPad apps that handle SF2 Soundfonts in decent fashion. I discovered that Slide Control FS, Changeling Sequencer, and bs-16i all had the ability to import Soundfonts via iTunes directly into the app. The one I liked the best was Slide Control FS, but that app has one major FLAW. It only works on iOS 5.x. So if you’re on iOS 6 which most people are, then you can scratch Slide Control off your list. However, I wouldn’t do that so fast. If you take a look at what Slide Control FS can do WITH your Soundfont you might be impressed with it’s extensive control over playing the Soundfont. It can also store hundreds of Soundfont files. The FX and the ability to work with sustain, portamento, legato, bend, and scale was also impressive. Luckily I have an iPad 1, so I was able to load Slide Control FS and control either my synths or the SoundFonts I put into it. I REALLY hope they upgrade this app soon as I think it’s the best of the bunch. The other two apps Changeling Sequencer and bs-16i are both excellent at allowing you to import Soundfont files in basic format. There is not much control or editing of the actual soundfont file in all three apps, but to play them from the iPad they work very well. 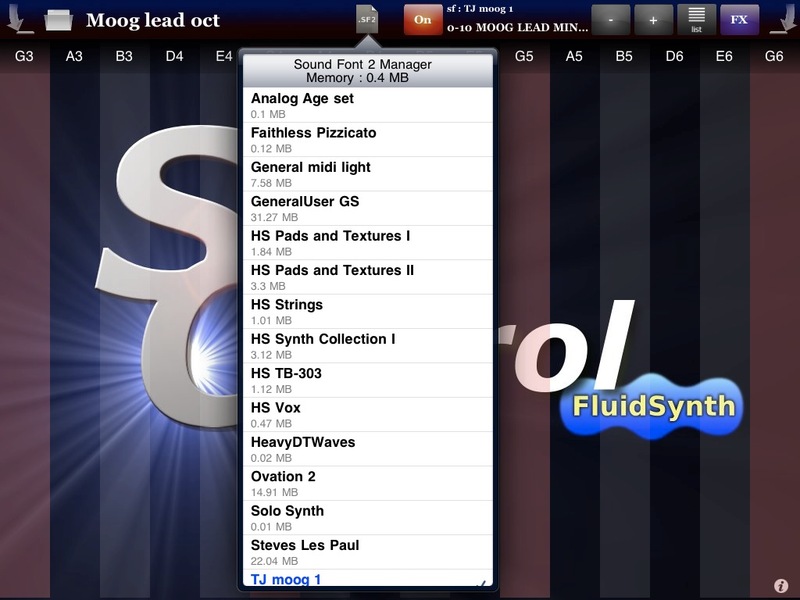 As stated above, the use of Soundfonts simply allows me to load up my old Ensoniq, E-MU, Roland S-Series, and Akai samples into the iPad faster and perhaps with a little more ease. Once I work more with Soundfonts and the iPad I’ll for sure update this article with additional comments and observations. If anyone knows of any other apps that can import Soundfonts, please comment. Thank you! Fortunately there is only ONE option that I know of for transferring sysex files to and from your synthesizer using the iPad. 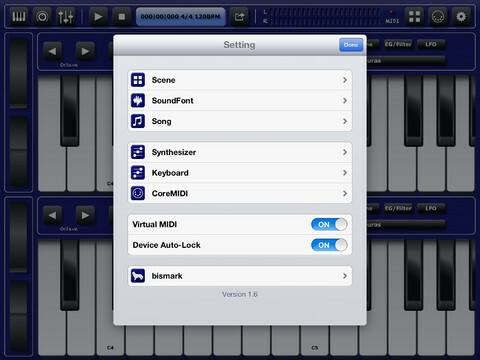 That App happens to be one called “Midi Tool Box” app for iPad and iPhone. I’m hoping there is another out there and even better to see one in development, but for now, Midi Tool Box works very so far with the synths I’ve test it with. 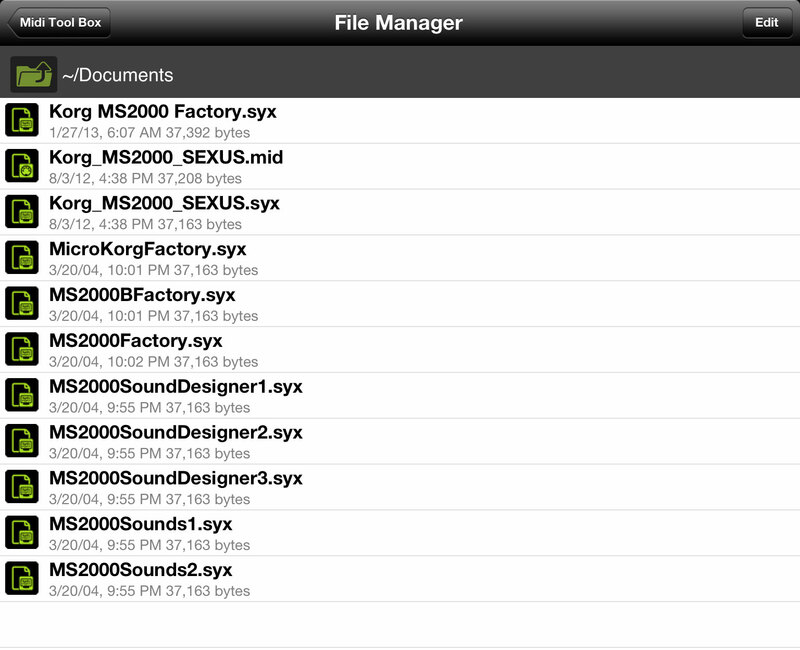 Attached is a screenshot of a list of sysex files I was able to transfer to and from my Korg MS2000R synthesizer. You can also transfer SMF Midi files with data via the built in SMF Player which is cool too. Inside the Midi Tool Box app there is a Sysex Librarian which basically allows you to open, save, and send sysex data through your midi connected cable. You can save or load the files saved in the Midi Tool Box file manager. There is also an SMF player, Status Monitor, Event Monitor, Keyboard, Control and Program change functionality. The app is basic, but it works. Perhaps the ONLY problem I’ve heard so far about the app is that with some older or special synths, the data transfer rate may be too fast. So far the Midi Tool Box App does not allow you to adjust the sysex transfer rate. Hopefully that will change. The Midi Tool Box App is the only app out there that will allow you to receive, save, and then load up a patch sysex or midi file for your synth without being tethered to a computer. You’ll need to test each of your synths to ensure it works with the fixed data transfer rate, but other than that the app works very well. Hopefully in the not too distant future there will be a more comprehensive librarian similar to something like a SoundDiver or MidiQuest for iPad. One can only hope. An interesting topic I’ve been researching lately is how to either import or create custom sampled instruments to be used on the iPad. I’ve been searching for some iPad music Apps that allow me to either create or import multi-samples from my library of Roland S-Series, E-Mu, and other sampled instrument formats. I have found that multi-sampling with the iPad is still in it’s infant stages, but have nonetheless found a few cool things that do work. Below are some examples I’ve found that have limitations, but it’s a start. Perhaps others with more knowledge on the subject will be able to comment about additional methods for importing multi-samples into the iPad. Note that I’m not so much interested in creating drum kits like you would with an MPC or iMPC, but rather simply creating custom musical instruments on the iPad much like the Roland S-50 for example. So far, I’ve found several iPad music apps that work in some way with multi-sampling. Two apps which I bought and rather like are (1) FL Studio Mobile and (2) Music Studio which I have attached screens. 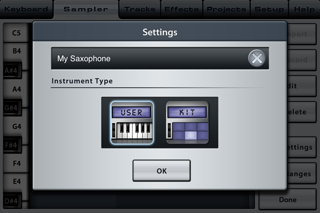 Both allow you to create custom multi-sampled instruments from within their apps. 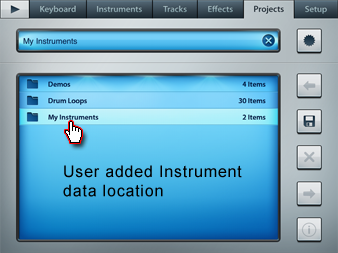 Both also allow you to import .instr multi-sampled instrument files. FL Studio Mobile allows importing of .zip and .instr files via it’s PC Direct Wave software which also imports SoundFonts. I’ve tested this using the latest version of DirectWave and I was able to import all sorts of SoundFont files and then export back out to .instr format. I then could import easily into FL Studio Mobile on the iPad. Music Studio App allows for importing of .instr multi-sampled instruments as well and I found it to be a little easier to loop and work with the actual wav files. It also had a cool auto assign to the keys function which you could later edit and modify the key zones. Both Music Studio and FL Studio Mobile could easily allow me to import my S-50 library into the iPad. This I am excited about and will be giving it a test run. In addition, both Music Studio and FL Studio Mobile can run on the iPhone so you can trigger the multi-samples on that platform as well. Note that advanced features like multi layered multi-samples is not possible with any app at the moment, BUT you could create multiple instruments and layer in an app which is a excellent workaround. So in a sense it is possible to multi layer sampled instruments on the iPad. 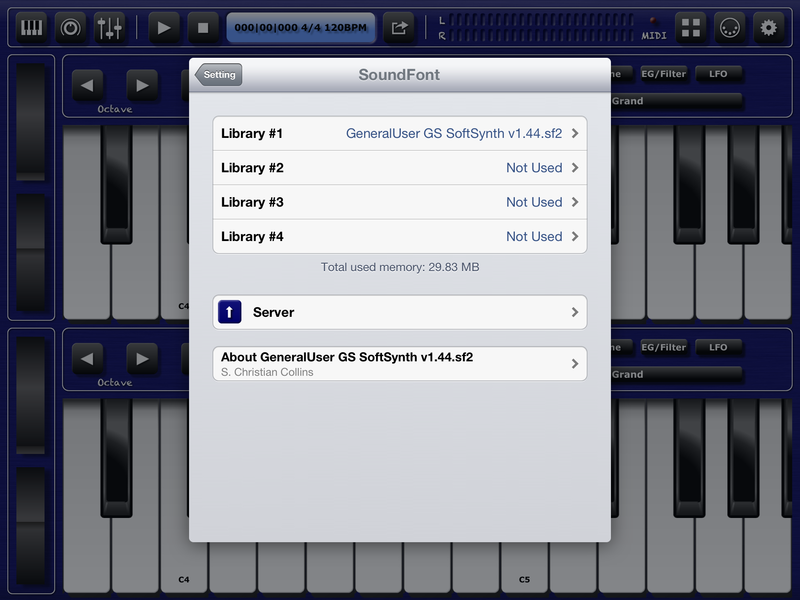 Another option is the bs-16i sampling App which allows you to import SoundFont files. This works very well and is a very fast way to move converted SoundFont files from your PC/Mac to the iPad. You could use Chicken Translator for example to convert Akai Samples to SoundFont files and then move them over to the iPad for importing into bs-16i. Using DirectWave on the PC, you can import SoundFont files as already stated and then export to .instr format and then transfer to FL Studio Mobile too. Once in the bs-16i app however, there is not much you can do with regards to editing the multi-samples as you can with FL Studio Mobile or Music Studio. UPDATE: I have heard since writing this article that there are a few more Apps that can be used to create instruments. There is the Peter Vogel Fairlight CMI Pro App that works very well. It’s a bit expensive, but I made the purchase and am very happy about the App. I grew up in the 80’s and it’s been fantastic working with a 20 grand sampler on the iPad. I can definitely do quite a bit with regards to making your own custom instruments on the CMI Pro so I definitely recommend it. Furthermore I’ve heard GarageBand can create custom multi-sampled instruments and at one time there was an app called GBSamplerManager from Redmatica which eased the transfer, but is now no longer available. At the moment, I’m not sure what the preferred method is for moving multi-sampled instruments over to the iPad for use with GarageBand, but I’ll update this post when I find out more info. 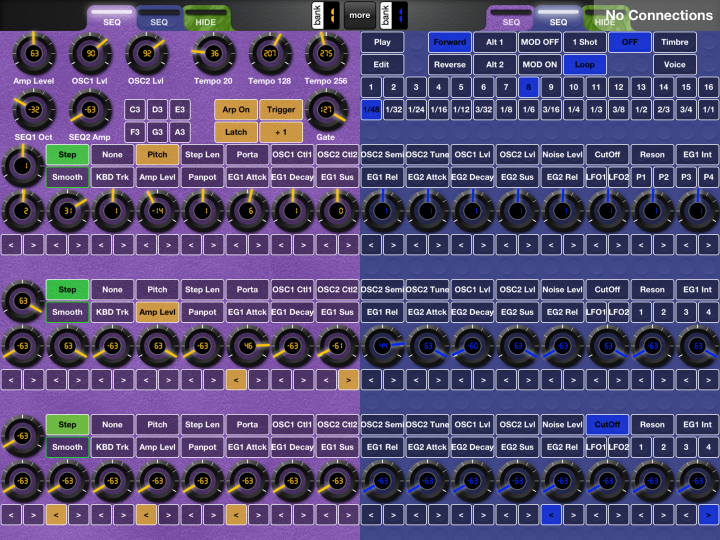 There likely are other iPad apps that allow you to create custom multi-sampled instruments. I’ll update this post as I find new contenders as for now I just wanted to get this topic started and out there. At this time, single layer multi-sampling across five or six key zones is doable on the iPad. FL Studio Mobile, Music Studio, and bs-16i are three apps that seem to handle this functionality pretty well. There are also loads of apps that handle custom sampled drum kits as well. Hopefully as the iPad grows in popularity and in use with musicians around the globe, there will become more options for creating custom multi-sampled instruments on the iPad. Here’s a video from Youtube for FL Studio Mobile and importing User Multi-Sampled instruments. I’ve had a few emails already about people asking what interface I use to connect my iPad or iPhone to my external synths and other hardware. Right now I have and use two connection devices that were released in Japan recently. They are (1) the Roland Duo Capture EX and (2) the Roland UM-ONE MK2. Both are pictured in this post above. I have tested both devices with various iPad music apps and they have responded very well to midi and audio with zero latency issues yet to report. The Roland UM-One Mk2 is fast and simple to connect and I use it the most simply because it’s smaller and easy to move around, however, for audio, the Roland Duo Capture EX is essential for me. 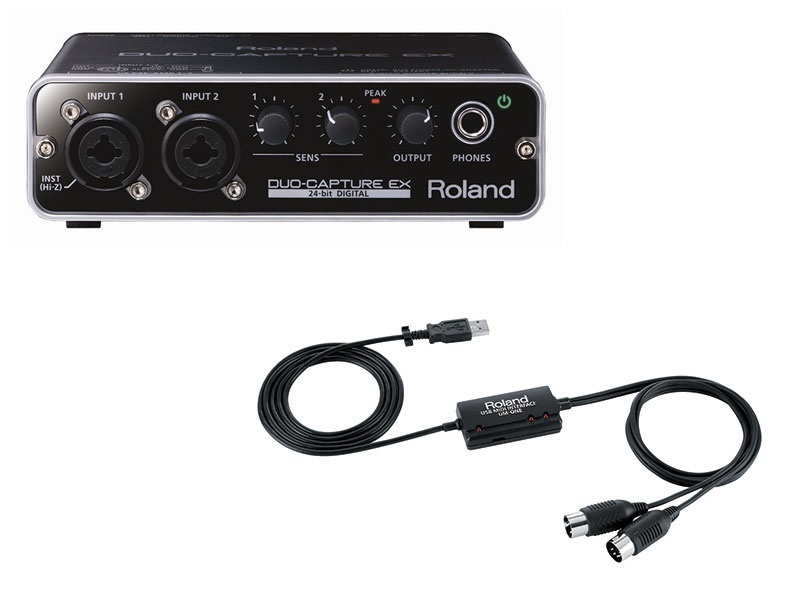 Although the Roland Duo Capture EX does require power, the UM-One Mk2 does not when connected to the iPad. The Roland Duo Capture EX can take batteries and this is what I mostly use to power the device which works very well. Sound quality is excellent and again I’ve had no issue at all with connecting my keyboards, synths, mics, or guitars to the Roland Duo Capture EX and iPad. Also, the Duo Capture EX sits very nicely on top of any synth, especially if you already have an iPad sitting on your synth. I usually run a couple of stereo outs from my mixer into the Duo Capture EX so that I can input multiple synths. Furthermore, having the extra midi channel is awesome. The Duo Capture EX is definitely an “all-in-one” item for me and works well. Not to mention, the Roland Duo Capture EX is extremely hot in Japan right now. It was hard to find mine. I’m not sure if either of these midi/audio interfaces are available in the States yet, but I’d definitely check them out as an option if your are looking for a way to connect your synth to your iPad or iPhone for midi and audio work. It’s official! I’m now into using the iPad for music and am enjoying it very much. I’m still not a huge fan of using the computer on stage or allowing it to pull me too far away from my hardware, but I’ve lately found some iPad Apps that are indispensable for working with my hardware synths. 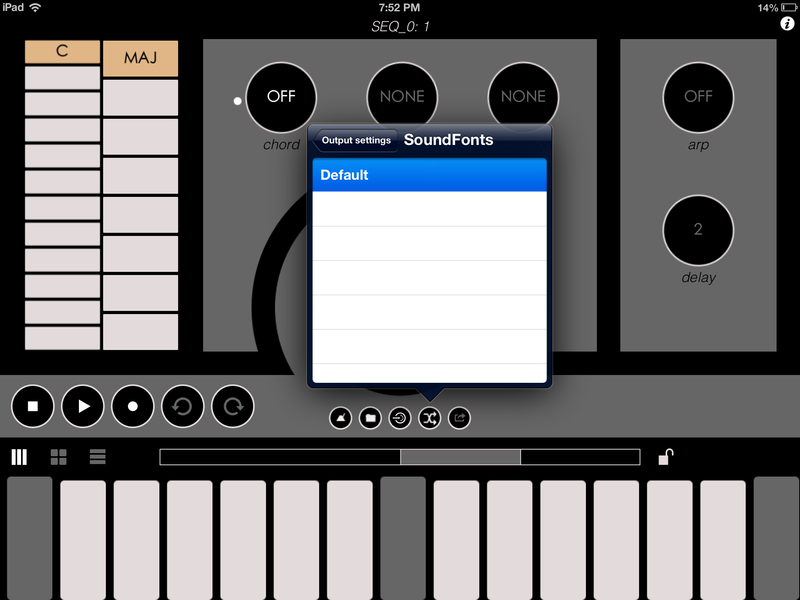 The first Music App that I’d like to mention and recommend is one called “Midi Designer” which is simply brilliant. Midi Designer is pretty new but already out of the gate it has features I can’t find on any other iPad App which makes it a very valuable solution for programming synths and creating control interfaces. The first hardware synth I decided to test with Midi Designer was the Korg MS2000R. I have two of these and absolutely love the sound and functionality. I even have the MS2000 with the keyboard which is much easier to use of course. The problem though with the MS2000 is that the Mod Sequencer is somewhat of a pain to figure out and use quickly. There is a fair amount of menu diving and if you hit the wrong button or turn the wrong knob, you will find yourself looking for a way out or messing up your sequence. So, I decided to use Midi Designer to create an MS2000R Mod Sequencer controller and so far it’s been a dream come true. I have attached what I have created so far and although it looks a bit crowded, it essentially allows me to VISUALLY see and operate ALL functions of the MOD sequencer on the fly without touching the MS2000R. It has made creating Mod Sequences much easier and has put the musical and creative process front and center. The Mod Sequencer is now FUN FUN FUN!! No more do I have to hit the wrong button or try to remember in which order things need to be done in order to operate the MOD sequencer. Now I can just connect the iPad and have fun instantly creating a Mod Sequence which can then be saved on the MS2000R. Simple! So why use Midi Designer? Well, first and foremost, Midi designer has two VERY IMPORTANT features that are essential in my opinion to creating a controller interface for a “MIDI external hardware” device. 1. 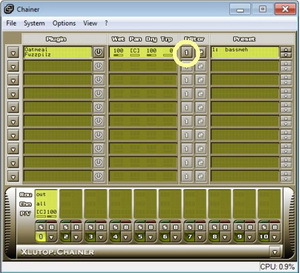 Midi Designer can send Sysex, CC, NRPN, MSB/LSB, etc. to the external hardware synth. It even has Midi learn that actually worked with NRPN and CC’s. It didn’t work with Sysex, so I had to use Sound Quest to pull sysex data from the Korg MS2000R. There are a number of ways to pull sysex data from an external synth, and I find Sound Quest Midi XL to be the best for me. NO OTHER iPAD app had the capability to unleash all of the parameters needed to program the Korg MS2000R. Only one other App had the potential and that was the overrated Lemur App which has a major flaw ( in my humble opinion, see #2 ). 2. Apps like Lemur REQUIRE you to learn a complete new scripting language in order to write and then parse data such as NRPN, sysex, and others. I simply don’t have time to learn a new language when I already am busy wrapping my head around sysex, nrpn, plus keeping up with learning about music in general. This is where Midi Designer is simply BRILLIANT!!! You DO NOT have to learn any additional scripting language. Just open up a control and insert your sysex message or NRPN message. That’s it!! You’re done and now you can move on to creating another control or just jam away. In fact, the only manual you will ever really need with Midi Designer is the Midi Implementation Chart for your external synth. This is as it should be. 1. A simple “keyboard” control that can be dropped onto the surface so that I can play sound modules easier. For now you can create custom buttons and press them to create note on/off messages which work, but a keyboard would be better. Note with Midi Designer you can create a Note ON/ON button to effectively hold a note when programming the Mod Sequencer which is again BRILLIANT!!! So many people complain about the Korg MS2000R not having a latch or hold button for the MOD Sequencer, but Midi Designer allows you to create one in literally 5 seconds!!! Problem Solved! Unbelievable! 2. It would also be cool to be able to create a panel and swipe it active or inactive to help create space. I elected to create buttons for the parameters which worked best for me, but if I could toggle a small panel to show or hide the additional buttons that would be awesome. I know that’s what pages are for, but I still need some parameters on every page. There are a few other minor changes I’d like to see happen, but overall, Midi Designer has allowed me to remain productive with programming sysex and NRPN while keeping up with playing music and practice. I love the fact that it’s super easy to use and requires ZERO additional scripting language to learn. It’s not like FLASH where you dump a control and then scratch your head trying to figure out what “Action Script” is all about. With Midi Designer you can keep your head in the Midi Implementation chart which is a headache already and remain focused on the instrument. Midi Designer takes care of it’s own language which is simply BRILLIANT! If you are looking for an App to create a panel for controlling your external synth or musical device, Midi Designer is not just recommended, but essential. Note I’m not an affiliate of Midi Designer. I paid the $20 bucks for the full version and have considered it an absolute BARGAIN for what I need it to do. Also note that I have no idea how well Midi Designer would work for computer applications like Ableton Live. Other than the iPad, I only use external hardware, so I recommend to do some research if you are looking for a midi designer app for your computer.